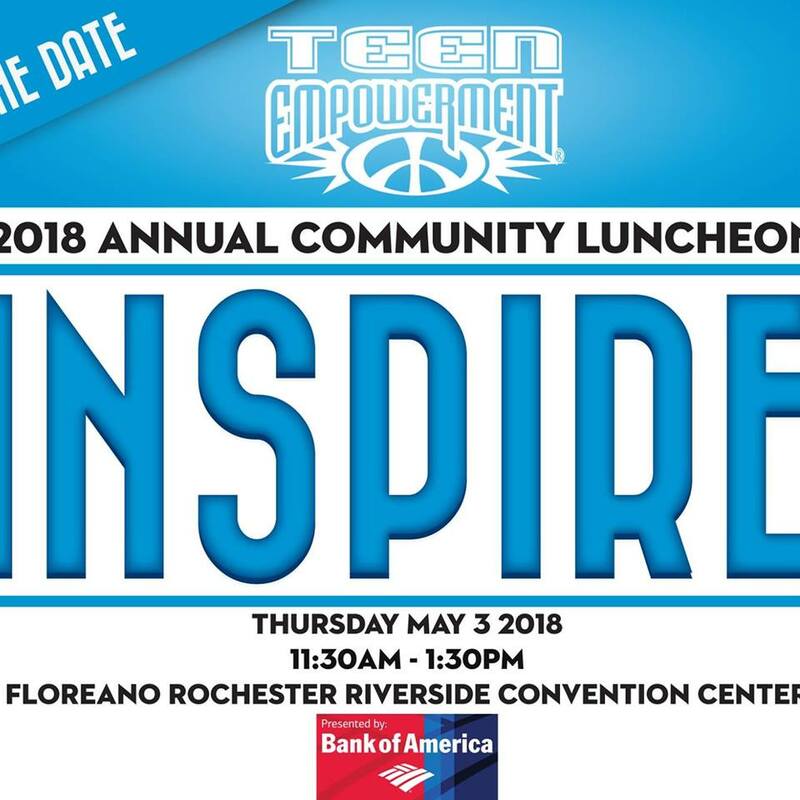 The Center for Teen Empowerment will host its “8th Annual Community Luncheon” on Thursday, May 3, from 11:30 a.m. to 1:30 p.m., at the Floreano Rochester Riverside Convention Center. 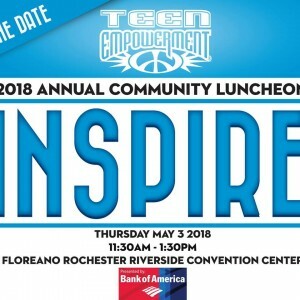 According to TE, its goal for the event is to raise $100,000 in support of youth organizing projects, in an effort to set the stage for the organization’s growth in Rochester. Local youth will also give speeches and performances during the event, officials from the organization said. Kitwana joined ESL Federal Credit Union in 2013 as manager of the new ESL Consumer Prosperity Program, and has been leading the ESL Charitable Foundation since 2015. He is also co-chair of Roc the Future, a community-wide initiative to improve the academic achievement of Rochester’s youth. In addition, Rivera has also played a pivotal role in streamlining resources that will allow the Rochester Housing Authority to extend housing to many Puerto Rican families that have recently been displaced by hurricanes, TE said. She is also a member of the executive committee of the statewide Alliance for Quality Education, as well as a member of Metro Justice, where she leads the Community Task Force on School Climate (CTF). According to TE, the group’s purpose is to empower youth and adults as agents of positive individual, institutional, and social change. Each year, TE youth conduct over 150 initiatives involving some 6,000 youth and adults in Rochester and in the Boston, MA area. Visit www.teenempowerment.org for additional information regarding the organization.